The Carlton 2012 features 20-inch long feed rollers, while the 2512 features 25-inch long feed rollers. The longer rollers on the 2512 give it a wider throat at the rollers, making it feed more aggressively. The 2512 is available as an HD (heavy-duty) model for the most difficult chipping conditions. The HD model comes with a 9000 lb. Dexter Torflex axle and an extreme duty 3- by 6-inch steel frame. No matter what the project, no matter what the conditions, Carlton has the right wood chipper for you. 20-by 12-inch throat opening and a 64-inch wide infeed give the Carlton 2012 massive capacity. 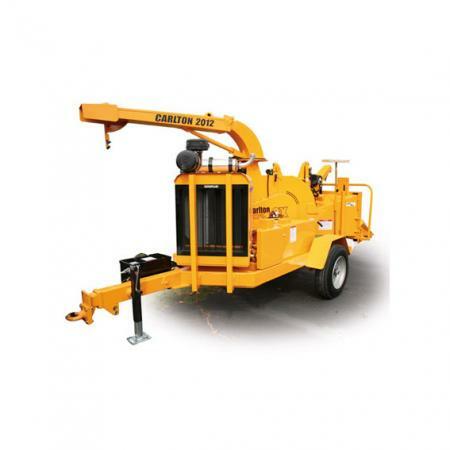 Plus Carlton chippers are built to the highest standards providing contractors the operation and reliability they need.